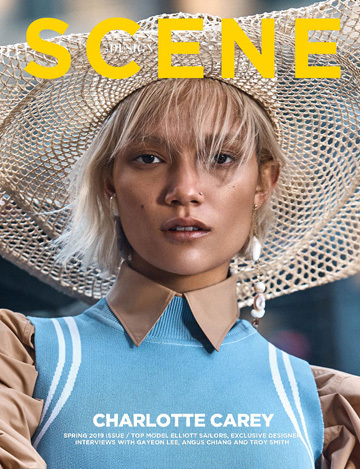 Supermodel Chanel Iman lands the cover story of L’Officiel Suisse‘s September 2016 edition captured by fashion photographer Marie Schuller at CLM. In charge of styling was fashion editor Christopher Maul, with beauty from hair stylist Felix Fischer at Factory Downtown using Shu Uemura Art of Hair, and makeup artist Ingeborg using Tom Ford Beauty at Art Department. Set design is courtesy of Jim Gratson, with production from Anna Kozyakova. For the session American stunner is wearing Fall Winter 2016.17 looks from top brands such as Chanel, T by Alexander Wang, Dolce & Gabbana, Philipp Plein, Zadig & Voltaire, Dior, Antonio Marras, Tommy Hilfiger, Sockshop, Manolo Blahnik, Au Jour Le Jour, Calvin Klein Collection, 3.1 Phillip Lim, Etro, Erin Dana, Céline, Just Cavalli, Gianvito Rossi, Bottega Veneta, Paul & Joe, and Isabel Marant.